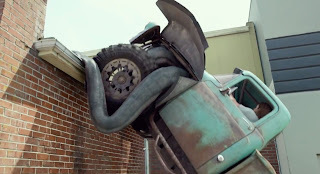 Tripp Coley (Lucas Till) is a high school student spends his time repairing a truck and working at the local junk yard. His life changes when a mysterious creature appears in the junk yard and starts living in his truck. 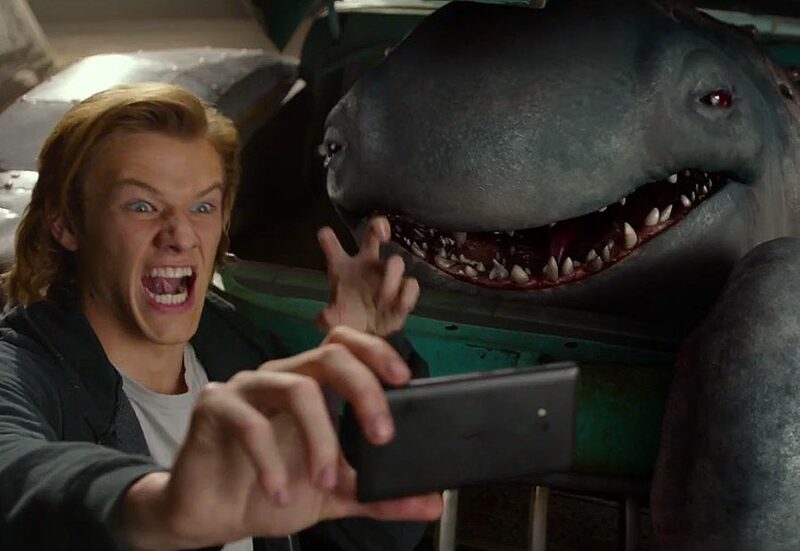 Tripp names the creature Creech and he tries to hide him from evil oil magnate Reese Tennyson (Rob Lowe) who wants to kill Creech and take over his habitat for a new oil drilling station. Tripp, Creech and Tripp’s love interest Meredith (Jane Levy) go on a wild adventure to save Creech. Tripp is a typical brooding teenager who just wants to get out of his small town. He loves his mother, resents her boyfriend and his real dad who left them. I would have liked to have seen more family dynamic, it just seemed stereotypical. Meredith is an overachiever who offers to tutor him and follows him around and he’s also idolized by a younger student. Both of them like him so much but he just ignores them. It made me cringe and wondered why they even like him. This was a cute movie and if I was a kid I would love it. 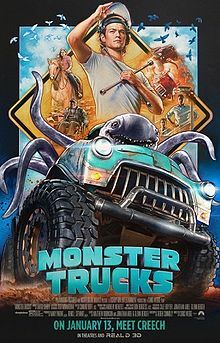 I thought this movie would be about monster truck rallying but it turned out to be different. It was more like those creature makes best friends with a young child movies from the 80s and 90s like E.T or Magic in the water. The movie moves at a fast pace which set aside character development and a detailed plot. So, I found it to be a bit underwhelming. However, I’m sure kids won’t mind such flaws and this could become a favourite among younger audiences.